Answering the door will NEVER be the same again! Bloody, violent and unashamedly gory, Knock Knock is a harkening back to the glory days of the 80s slasher movie. 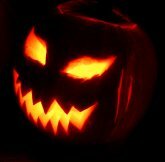 Few brutal details are spared as the massive killer works his way through the cast, delivering severed limbs and gutted innards in all shapes and sizes, and making a thoroughly enjoyable - and gruesome - experience. 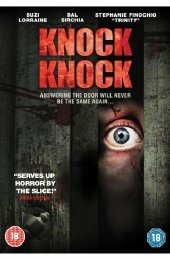 Knock Knock will be released on DVD courtesy of DNC Entertainment on 27 July 2009. Someone is killing students at a high school, leaving the obscure message 'Knock Knock'. A retired detective is bought in to find a connection between the murders finding the killer could end up being his biggest challenge ever. The young and fresh faced cast serve up an ample amount of would be corpses, and director Joe Ariola quickly sets about offing them as brutally and painfully as possible. The film also features the notorious horror babe and Gorezone writer Suzi Lorraine, who has starred in over 40 infamous horror movies, and Stephanie Finochio, who found considerable fame as a WWE Superstar as working under the ring name Trinity. Replete with plenty of heavy cleavage and a monster of a killer, Knock Knock is a rip roaring ride that will be thoroughly enjoyed by anyone that loved the slasher flicks of the past, and has been waiting for a modern twist.